A 10 year programme to replace the UK’s radar network has been completed by NATS, the UK air traffic management company. 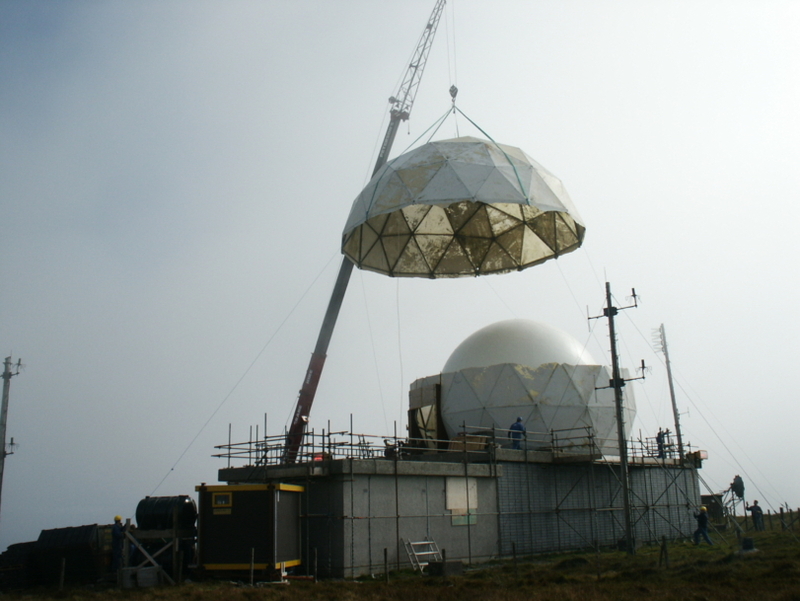 The £164m infrastructure renewal project involved upgrading or replacing all of the UK’s main 23 radar stations, many of which are in the country’s most remote and inaccessible locations. Radar stations are a critical part of national infrastructure. NATS uses them to locate and safely guide the 2.1 million aircraft that fly through UK airspace every year, so keeping them maintained is a vital task. The programme took the NATS team to every area of the country, from Fitful Head on Shetland to Burrington, Devon, while encountering everything from driving snow and peat bogs to badgers and killer whales. NATS Project Manager Kevin Harris explained: “It was certainly no ordinary programme, with major engineering and logistical challenges. The UK has some of the busiest and most complex airspace in the world, so it was vital to deliver the radars back into service without any major operational impact. This impressive achievement has not gone unnoticed – the team has been nominated in this year’s Association of Project Management (APM) Awards, where it has been chosen as one of three finalists in the category of Project of the Year. The Tiree site in the Inner Hebrides was inaccessible from the mainland on occasion, meaning project work had to be carefully planned. Challenges at Glasgow included driving 30 metre piles into the ground to ensure firm foundations – a task completed with the help of Europe’s largest piling rig. During the Perwinnes refurbishment the NATS team battled the elements in a snowplough for the final push to the aptly named Windy Head communications site. The local wildlife provided differing challenges throughout the project. A badger exclusion zone was needed at Manchester Airport; a species of rare newt had to be protected at Stansted; and rats often made an appearance. A pod of 16 killer whales was visible just off the cliffs from the construction site as the Shetland team completed their work. And the team at Great Dun Fell in the Pennines had the convenience of the UK’s highest flushing toilet.